From over 150 applicants, 52 successful Small Towns Big Ideas projects were announced this week. Headford Lace Project is extremely honored to be chosen to represent Headford and Irish Lace in this amazing project. The Headford Lace Project seeks to revive Headford’s lacemaking heritage and contribute to the vibrant cultural life of Headford, by bringing the story of lace to life for a new generation and placing Headford firmly on the map locally, nationally and internationally. We are delighted to have the opportunity to create a permanent artwork for Headford in collaboration with artist, Róisín De Buitléar and supported by Galway 2020. Please see our Events page to find out how you can participate. Headford Lace Project in collaboration with Headford Environment Group has established a Lace Garden at the Community Orchard. 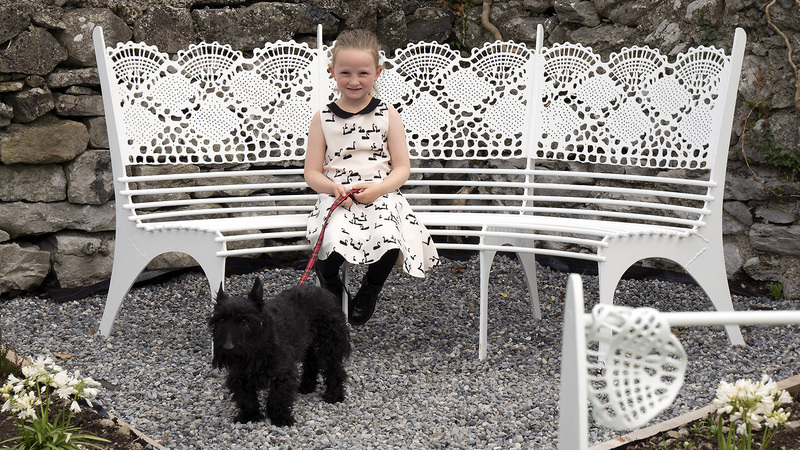 The Environment Group planted a lace-inspired garden of white flowering plants surrounded by a fence made of lace-bobbin shaped posts, and Headford Lace Project commissioned a park bench, the design of which is inspired by Headford Lace. Both the bench and fence were produced by Kilkee Forge. The Headford Lace bench was made possible thanks to funding from Galway County Council Facilities Scheme, prize money received by Headford Lace Project for winning the Tidy Towns Heritage Award (2017), and labour provided by the Rural Social Scheme. Headford Lace Project has been instrumental in the instalment of heritage signs around the town. 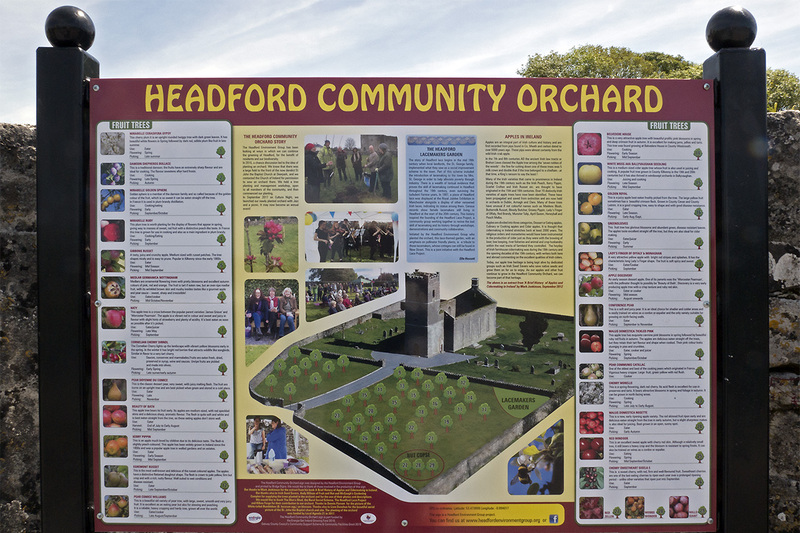 We collaborated with the Headford Environment Group with this one at the Community Orchard. We are currently working on one to be installed on New Street, where many of the original lacemakers once lived. 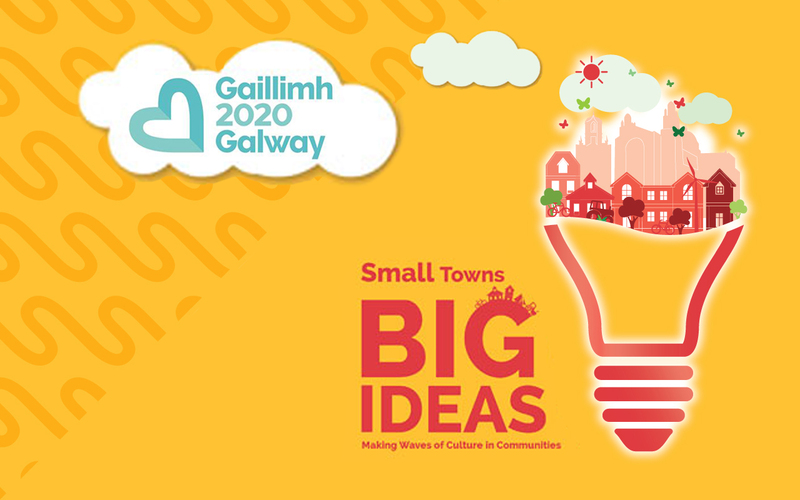 This will be achieved with support from Galway County Council Heritage Office under the Community Support Scheme. 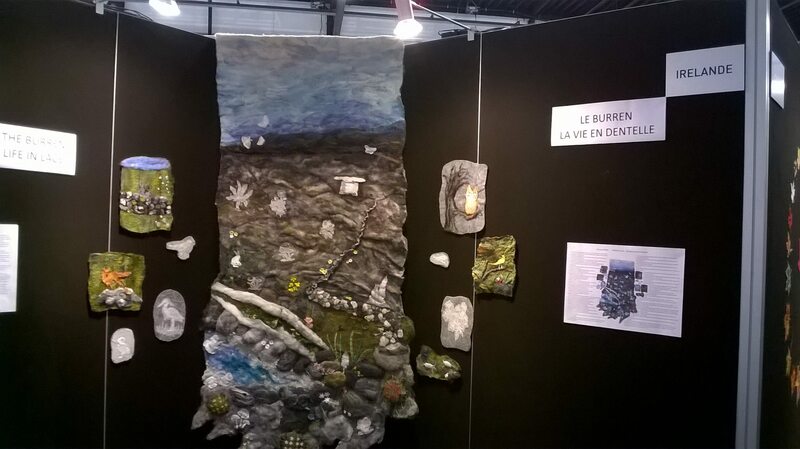 Headford Lace Project members Norma Owens and Jackie Magnin created pieces of Headford Lace which were included in the Guild of Irish Lacemakers' presentation at the World Lace Congress in Zaandam, The Netherlands. 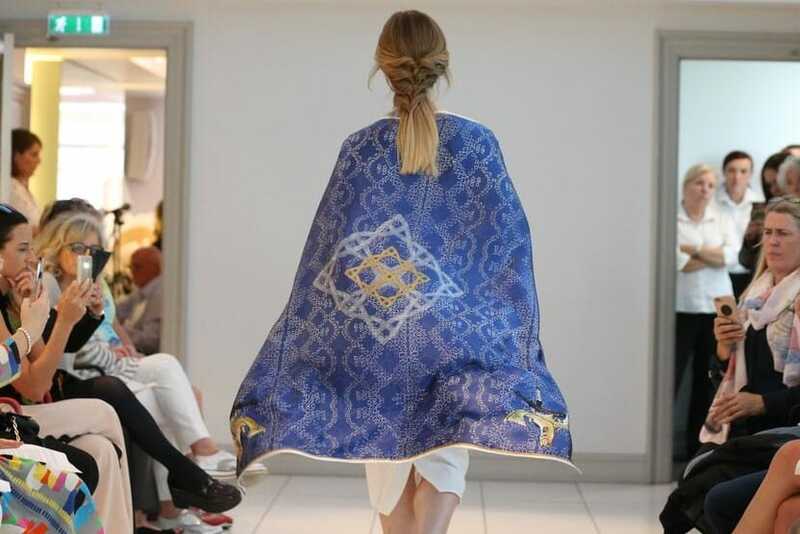 Under the auspices of the Design & Crafts Council of Ireland and the Council of Irish Fashion Designers, Headford Lace Project was delighted to collaborate with Galway designer Niamh Daniels. 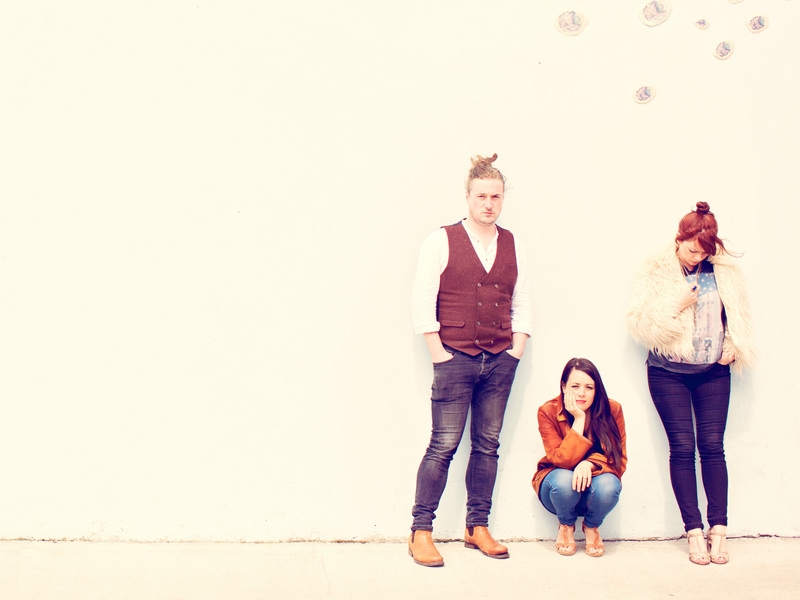 Headford Lace Project is in collaboration with local songwriters and musicians, The Whileaways, to compose a song inspired by Headford Lace to bring the memory of our local lacemakers back into the public consciousness. Headford Lace Project collaborated with the local Men's Shed and local master woodturner, Ambrose O'Halloran, to run a workshop on turning wooden lace bobbins.